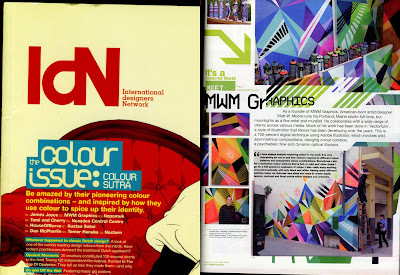 MWM NEWS BLOG: IdN Magazine : Color Issue. 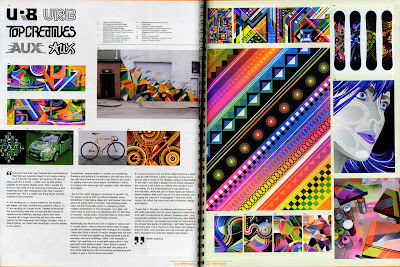 IdN Magazine : Color Issue. Honored to be featured in the current "Color Issue" of IdN Magazine (Hong Kong). Each Feature explores different perspectives on Color Theory & Relationships, Creative Processes, and Style Evolutions. Featured Artists & Designers : James Joyce, MWM Graphics, Nepomunk, Tomi & Cherry, Neasden Control Centre, House of Burvo, Kustaa Saksi, Dan McPharlin, Tomer Hanuka, and Nocturn. Another amazing issue from the IdN Team. Thanks Alva! Click-Zoom.